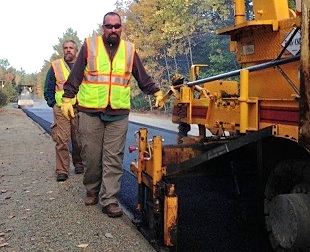 For over 30 years Ring’s Paving Company has continued to earn the trust of their customers in Eastern Maine. Ring's Paving knows that a proper design coupled with timely preparation and professional execution make the difference in the function and durability of any paving project. Today the success of Ring’s Paving company is testament to the commitment they make every day to always do the right thing for their customers and deliver value. We are proud of our team and their dedication to quality and customer service. Our paving crew has been together for more than 20 years, and our grading crew for over 10 years. This experienced team is the reason for our success and why Ring’s Paving Company can make a promise to a customer and keep it. When it comes to your paving needs, we are a one stop shop. We offer a complete line of paving services to residential, commercial, town and municipal clients and provide complete solutions to your structural surface needs. If you have had paving services work done in the past, you know that the design and quality of the work determines the real cost. A bad pavement job might not last a year. A good one could give you 20 years or more of service. In addition to the structural integrity of our work we will make it aesthetically pleasing and deliver it in an efficient manner that reduces impact on your lifestyle or business. 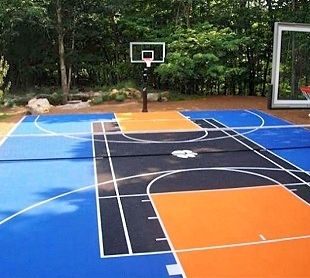 Recreational surfaces require experience and state-of-the-art equipment. They have minimum pitch specifications and require precise grade control to meet tolerances and avoid drainage complications. Ring’s Paving Company specializes in tennis court and uses the most modern methods and equipment to ensure that the finish project meets the specifications. In addition to having the right equipment we have the right people. Our crews have years of experience installing these surfaces and we have a long list of satisfied customers. Ask for references, we have them. 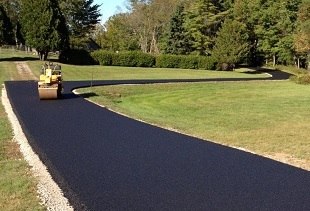 Ring’s Paving Company offers quality asphalt paving solutions for all your structural surface needs. Give them a call today at: 207 963-4104.